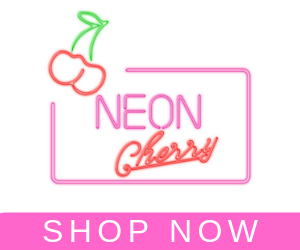 I always feel more confident with a bit of colour but am not prepared to bake in the sun, oh sure as a silly teen we hitched our school skirts up and slathered our legs in baby oil to gain a tan but I don’t advocate that…in fact I regret the damage I surely would have done to my skin. These days I slather on sunscreen and take a different approach to a tan, preferring self tanning at home. Yup, in a world full of fakes I am happy to put my hand up and profess I love a fake tan. Did you know that I didn’t have my first spray tan until I was forty three? That very first spray tan was a Vani-T tan and I have been hooked ever sine. 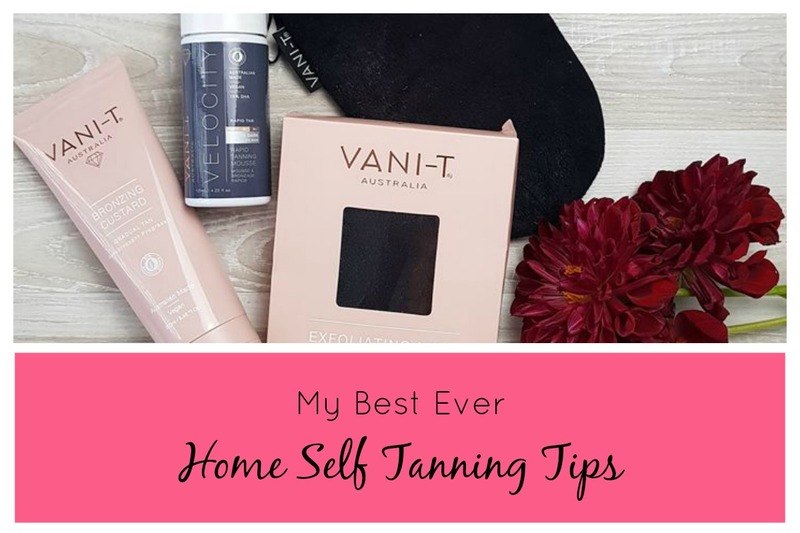 After having a few spray tans I worked out I prefer doing a tan at home, it’s just more convenient, Well it seems you all like to ‘tan at home’ too as I receive loads of Tan enquiries so I thought I would help a sista out and pop together my best at home self tanning tips for you all. 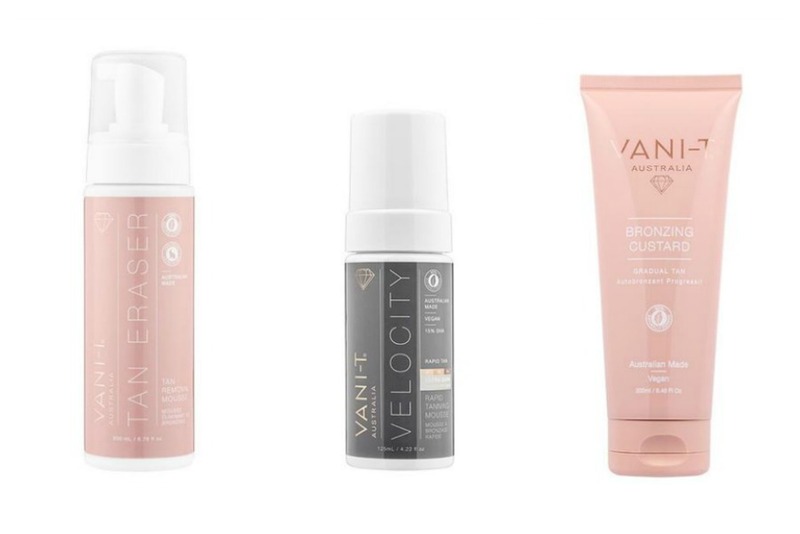 I have tried a few brands of home tan but always come back to Vani-T Velocity Rapid Tan Mousse. This instant drying, long lasting tan will develop colour in as little as an hour so If I am time poor it is on my side. I usually leave it on for three hours but have been known to sleep in it. I love that this self tanning mousse is South Australian owned, full of botanical extracts and is cruelty free and has no nasty smells. The tip to achieving a flawless home tan is to prepare your skin. To avoid unsightly streaks and patches you need to make sure your skin is in great condition The drier your skin the patchier your tan will be. Moisturising daily is a fab habit to get into, not just for skin health but your skin will always be hydrated and ready for when you want to tan PLUS your tan will last longer! Before you tan, pop a little moisturiser (a light wipe) on your hands, feet, knees and elbows, doing this will prevent the tan from grabbing to the drier skin and going darker. Ladies, moisturising daily isn’t just for BEFORE your tan, it’s necessary AFTER you tan as well! If you don’t keep up the moisturising your tan will look flat and for me I look like cracked dirt is laying on my skin…yuk! Next Exfoliating regularly to remove the build up of dead skin cells, particularly on drier areas such as elbows, knees, feet and hands is also very important. The day BEFORE self tanning make sure you take care of hair removal and use an exfoliating mitt to exfoliate your skin, this will prevent your tan from sitting in the follicle and giving you a polka dot effect, and stop your tan grabbing onto drier skin giving you a flawless finish. When you exfoliate focus on the drier areas, for me it’s the back of heels, knees, around the ankles. I give my whole body a quick exfoliation but pay extra attention to those areas. I start with a couple of pumps of tanning mousse on your mitt apply in a smooth long strokes, I start with legs, then tummy, arms, shoulders and then a quick once over on the legs again. Don’t forget inner thighs, under armpits and behind your knees. Leave the drier areas to last and only use the residue that is on the mitt. To be honest I never do my back, back of neck or face as I always have a decent natural tan in those areas, if you need to do your back enlist help or secure your mitt to a long handled back scrubber and give it a whirl. Now you have the tan of a goddess I bet you are wondering “How do I get my tan to last as long as possible”? 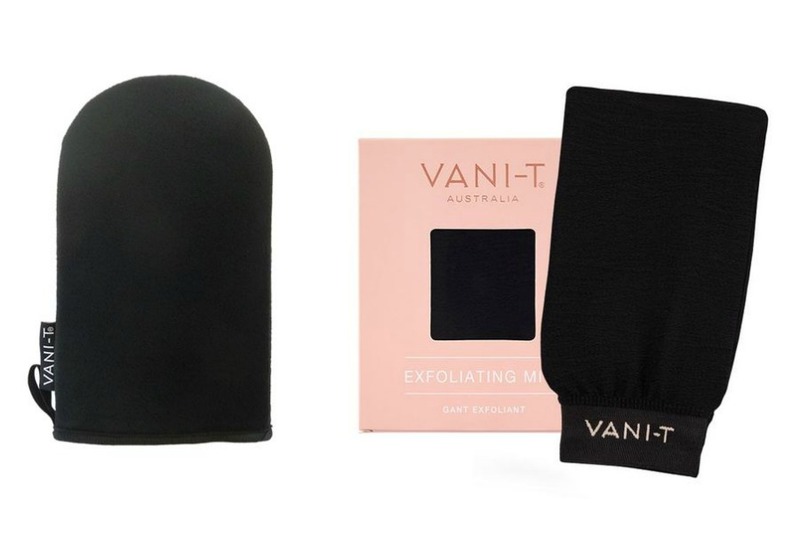 It’s easy babes, moisturise daily, gently exfoliate often and use a gradual self tanning moisturiser like the Vani-T Bronzing Custard. This all natural daily dose of sunshine will build and extend your tan life while keeping the skin hydrated and supple. As a tan fades it can start to look patchy but before you apply your next tan I recommend Vani-T Tan Eraser, this stuff is the business! A mousse application I bung it on, leave it five minutes and rinse. The ‘Tan Eraser’ effectively removes all of my old tan and I am left with soft skin, winning! It’s also great for ‘over tan’ or mistakes. Looks like you are ready to tan and enjoy the warmer months while being sun safe. 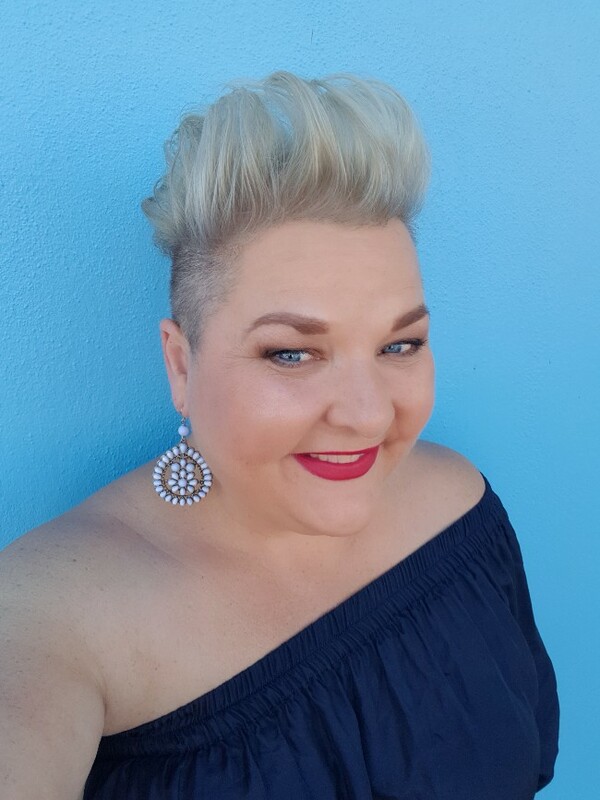 if you need some courage to get into a cossie then pop over and read my ‘cossie confidence tips’ life is for living ‘off the sidelines’. Finally took the plunge and purchased the Vani-T Bronzing Custard! The mousse sounded a bit full-on for self-tanning-virgin me, so am going with the gently gently approach first. Here’s to a sun-kissed glow with not an Oompah Loompah in sight! I’m just wondering if anyone has purchased their own tanning spray machine and how it is working for you?